I've always loved quilts! But these quilts are particularly wonderful! 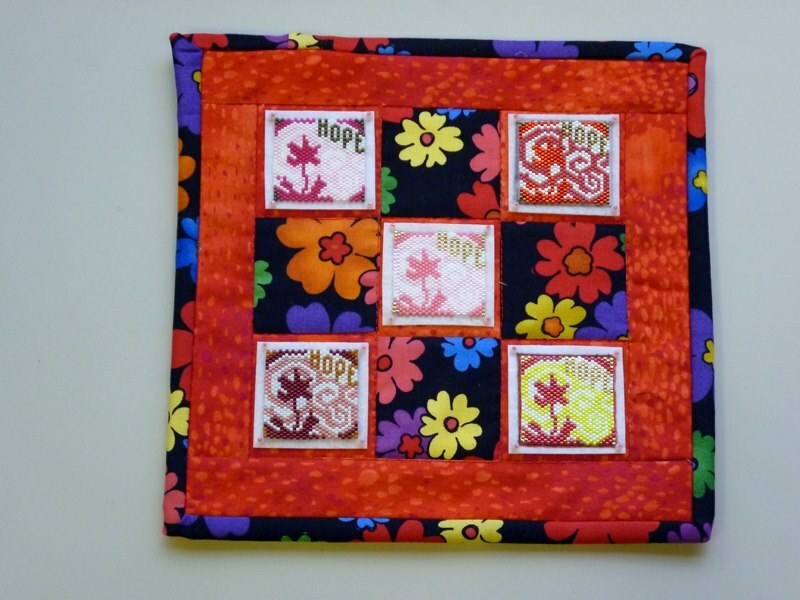 In 2012–2013, the Bead&Button staff will once again be organizing the Bead-It-Forward bead-quilt project, an international beading effort that benefits breast cancer research! 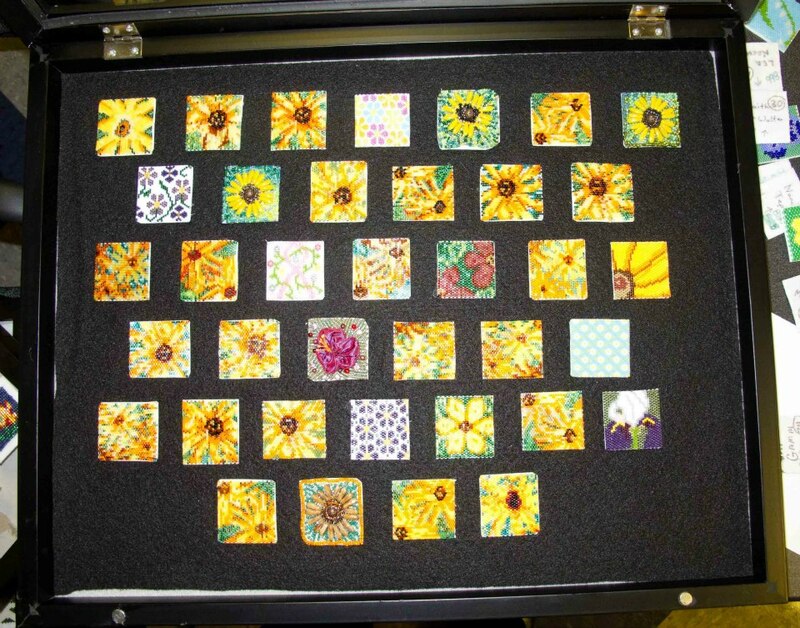 In years past, artist Jeanette Shanigan was the driving force behind Bead-It-Forward: She corralled squares of beadwork from around the world, pieced them together to form mini mosaic quilts, and donated them to the annual Bead&Button Show auctions. In the fall of 2011, Jeanette passed the baton to Bead&Button magazine. 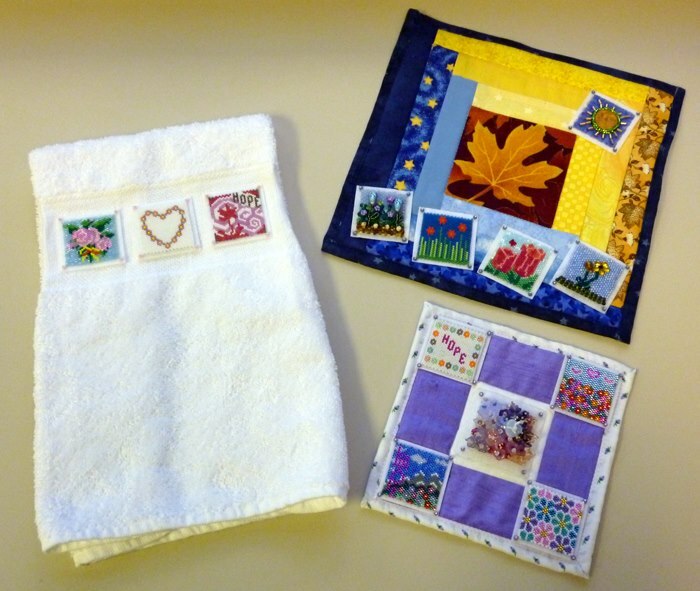 Our editors created quilts, greeting cards, shadowboxes, and other goodies from more than 950 squares, submitted by beaders from Alaska to Australia and everywhere in between. The Bead-It-Forward items (plus others donated by Bead&Button Show teachers, vendors, and attendees) were auctioned off at the 2012 Show, raising $19,500 for breast cancer research at the Medical College of Wisconsin. Now let's do it again! 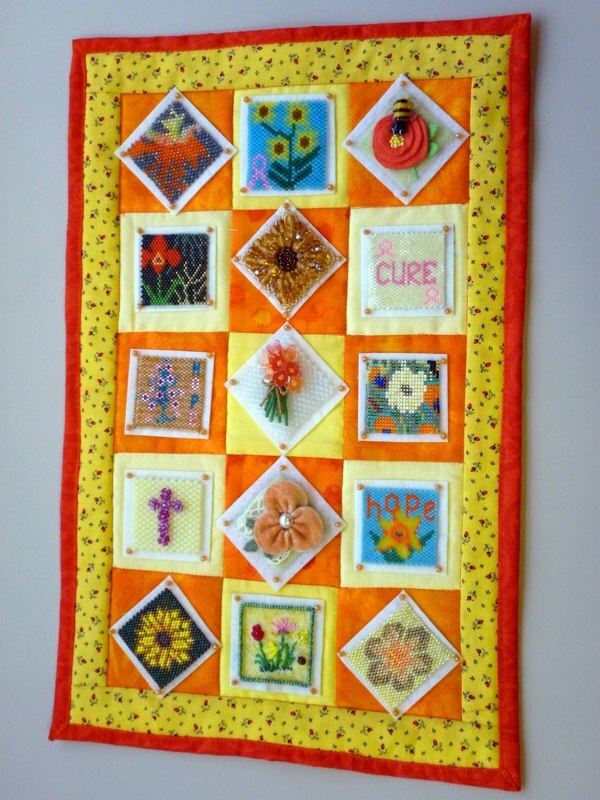 The Bead-It-Forward theme for 2012–2013 is "Flowers: Stitching to find a bloomin' cure." And here are some pics of completed quilts with beaded squares that I hijacked from Bead&Button's Facebook page! 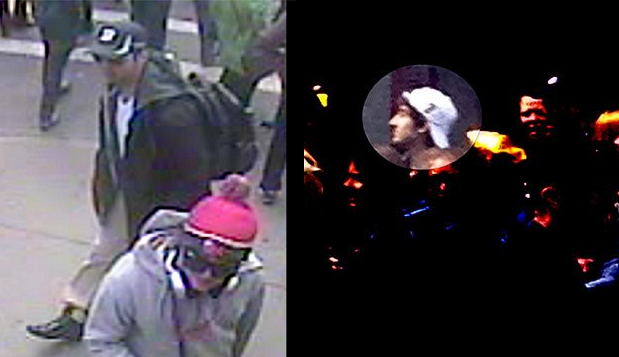 And now - to interrupt this blogging challenge...and because you just never know...someone stumbling along, and happens to stumble upon this post might know something....here are photos of the suspects from the Boston Marathon bombings this past Monday. Contact 1-800-CALL-FBI with any tips related to the suspects!!!! Tune in tomorrow for the Spring Fling Reveal! 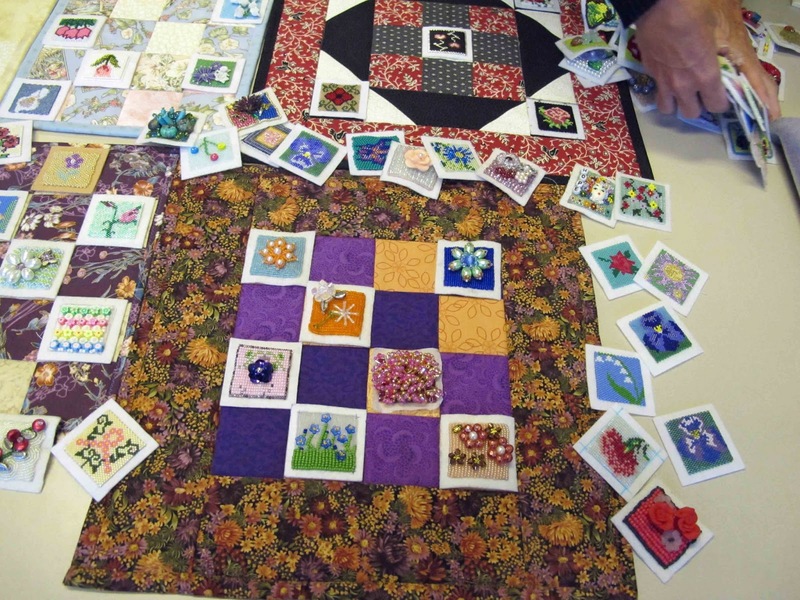 What beautiful quilts!!! Lots of work and detail and love went into them. Crazy world we live in...hoping for this latest sadness and chaos to end soon with no more lives lost. Those are fabulous!!!! I love it!!!!! The quilts are beautiful and inspiring. As a quilter, I know that I will never be that creative so I applaud those who are. Our world is a scary place. I think that's why we create things to make us happy and the world a prettier place. 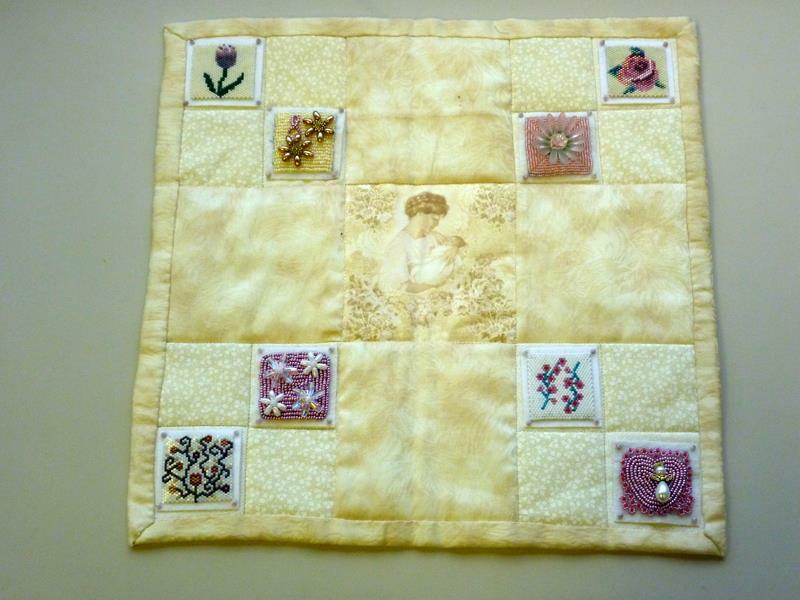 Thank you for sharing the beautiful pictures of the beaded square quilts. My thoughts and prayers are going out to the people of Boston and MA, such a terrible thing to have happened. Beautiful quilts and thankfully they caught the suspect. 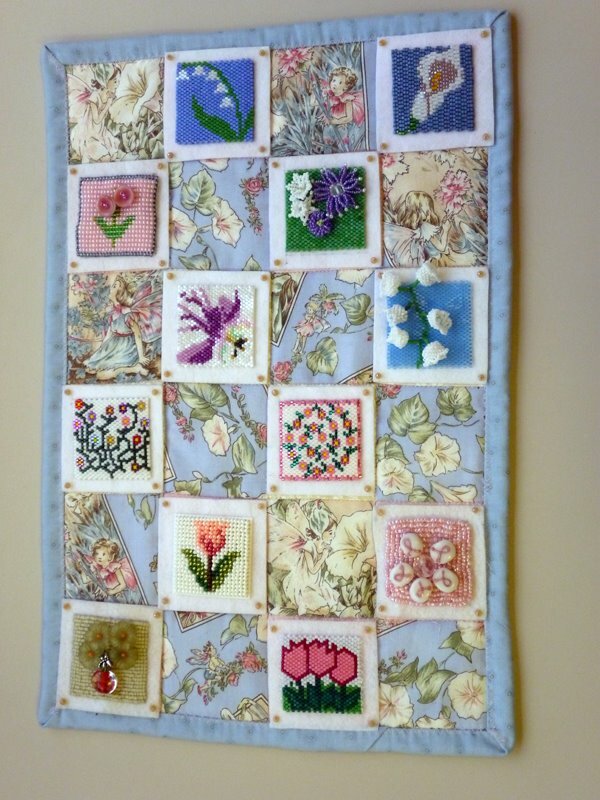 These are beautiful quilts, I've not made one myself, would love to give it a go, and I really like the beaded touch!